We don’t have dessert every day, but we are a dessert loving family and the kids are always ready for cupcakes! With five little people under eight in the house we find cupcakes are the best solution to a couple of different problems – the servings are all the same size so nobody has to worry about whose piece is bigger, and the individual servings make it easier for the kids to serve themselves. Our quadruplets turned seven earlier this month and since their birthday is in October they tend to have Halloween themed parties and they use it as an excuse to celebrate all month long. 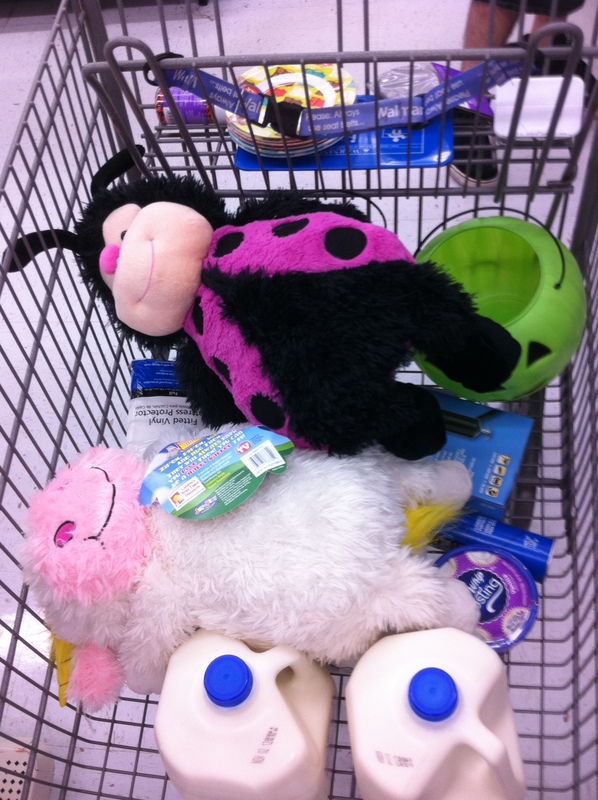 I went shopping at Walmart and checked out all the neat Halloween baking decorations, but since this was really just an every day occasion I only bought some frosting and baking cups. 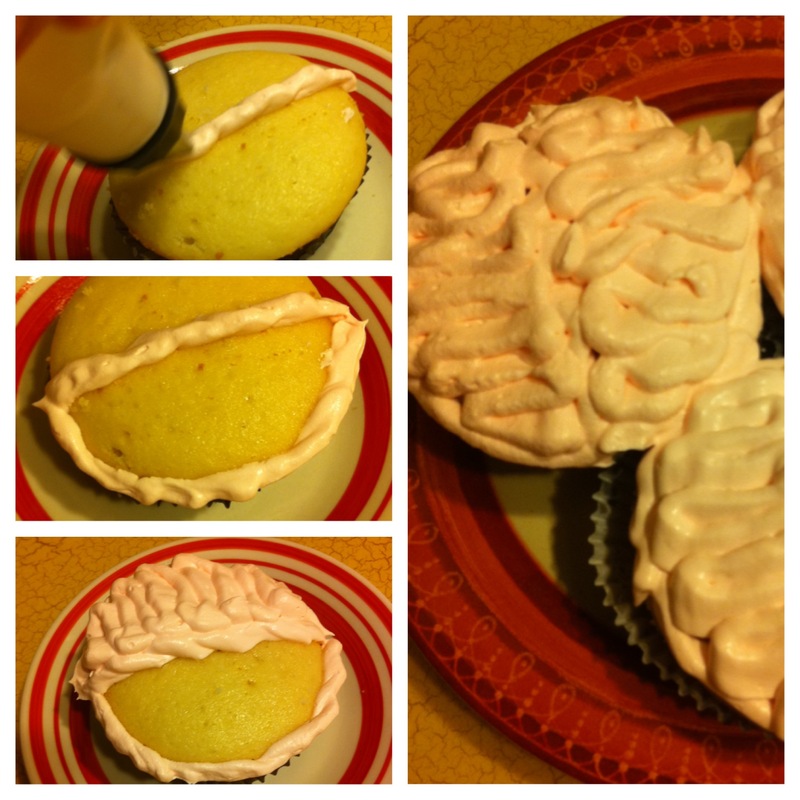 I had a white cake mix in the pantry and I bought some of the new vanilla Cool Whip Frosting to try out so I decided to have a little fun with what I had on hand and I made some brain cupcakes for the kids. They were super easy to make and the kids had a blast eating “brains” for dessert. After thawing the Cool Whip Frosting in the refrigerator I added a single drop of red food coloring and mixed it well to color the frosting pink. I put the frosting in an icing bag then began frosting the cupcakes by making a line down the center to create the two hemispheres of the brain. Next I put a line of icing around the edge of the cupcake, then filled in each hemisphere of the brain with a back and forth motion. We like to use regular Cool Whip topping on all sorts of things, but I’m too lazy to make my own Cool Whip frosting, preferring instead to get my icing from a tub. 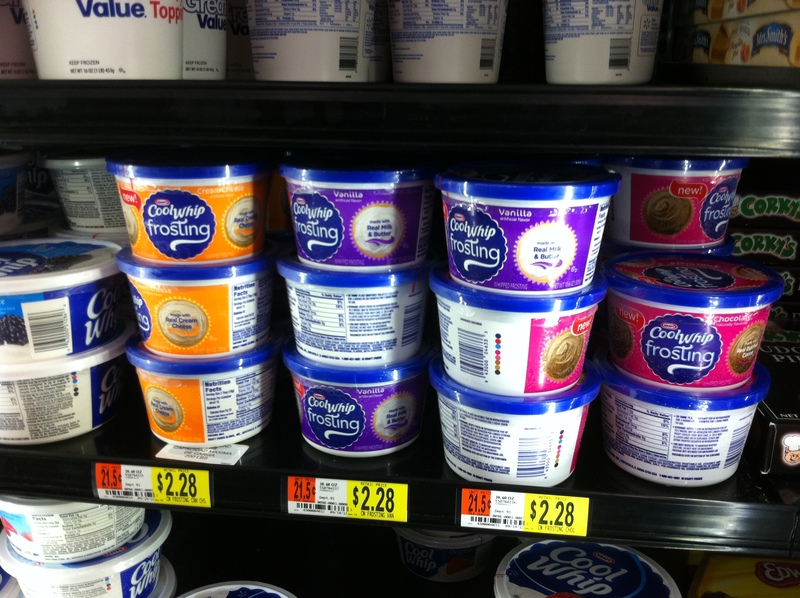 I was very excited to learn that you can now actually buy pre-made Cool Whip Frosting. You can find it in the frozen dessert aisle and it’s available in vanilla, chocolate and cream cheese flavors. They’re made with real butter and cream and I was very happy to learn that a serving has only 60 calories, while my previous tub of icing has 130 calories per the same size serving. The frosting was very easy to use and to decorate with and I’ll definitely be trying it again. In fact, I’m already planning to grab some of the cream cheese frosting next time I’m at the store. Check out some other yummy ideas at the Kraft Cool Whip Frosting Pinterest board and grab the coupon below before heading to the store to get your Cool Whip Frosting! These are so much fun! !